I finished exactly two fiber related projects last year. One a knit for someone else and one a woven scarf. I worked on a couple of knits, but frogged or forgot about most. I received my weaving club every two months and didn’t work on a single one. I did some cross stitch and embroidery. I spent time at the pool. I rode in the Sam’s Club Bike MS150. I did no Jiu Jitsu. I was sick for about half the year. I’m still down with the sickness and hope to have better answers next year. I broke a rib, my momma went septic on us. I almost gave up the blog and domain. It was an odd year. I think the word of the year was “apathetic”. It was like I just took a year off. I’m not doing a whole “new year, new me” thing. I just need to get back on track. Yeah. I may also have a tiny addiction to JessaLu bags. Author stacey919Posted on January 1, 2018 Categories UncategorizedTags blog, CMMDI, CMMDI18, crazy, Team Crankypants, WIP's, WTF, xstitch3 Comments on Hello Beautiful New Year! I try to answer my e-mail from previous posts before making a new one, but today? I’m not feeling the email love yet. It may be that I’m recovering from my workout yesterday… or the fact my mom came over for lunch today and I ate a lot of junk food and now want to take a nap. But we’ll go with blaming the workout. The workout? 1000 meter swim and half hour of cardio. Only 40 laps, but it took me a half hour. I remember when I was on swim team – that was just a warm up AND it didn’t take nearly as long. How did I get so old without noticing? Nice cloudy mornings and afternoon have been seen around here. They’ve brought some awesome cooling rains, but it gets just a tad bit humid before those clouds crack open. As seen by the first picture. Yep, my lens fogged up just by walking outside with the camera. 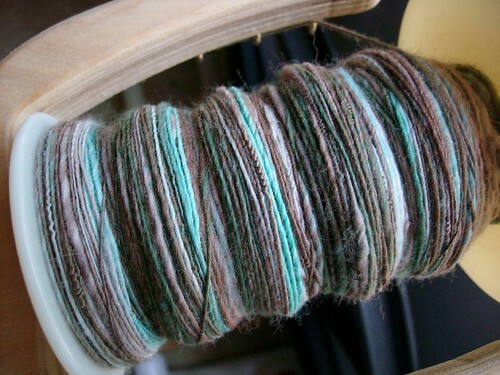 Team Crankypants update: I spun for two hours yesterday. On my wheel of course. I’ve come to an understanding between the process and the floppy and everything is moving smoothly. Of course, I’m just trying to finish up this roving so that I can get it off the bobbins, pack it up and ship the starter wheel off to it’s next owner. This is about half of what I had, so I’m going to start a new bobbin and ply the schtuff. No, I do not remember how much fiber I had or what it was… I just remember I bought it when Fairielady was still dying. All of her stuff I bought was wonderful and I think I even gave some away when I thought spinning was done for me. It’s a shame that rotten customers drove her to step away from the stress of dyeing for others. Saturday Sky – Now with less sky! If I could have found my camera this morning, it would have been an amazing shot. Where was it you ask? On the desk. Right.in.front.of.my.eyes. Obviously, I had more important things on my mind. I will be spinning for the team tonight despite the reprieve I was given by Her Highness the Most Crankypants of them All. I feel all wonky and off and just need something all consuming to get lost in. Today and tomorrow it’ll be fiber. What am I doing Monday? I done joined the gym and will start becoming a rat. I lost 17 lbs with the Wii and simple food changes and think I’ll have fun there. Actually, I’ve kind of missed going to the gym. I like how I feel when I work out regularly. Shut up. I know. I’m weird. And yeah, I still lost the weight even with the neighbor cracking her head open and the drama llama schtuff going on. Author stacey919Posted on July 18, 2009 Categories UncategorizedTags SatSky, Team Crankypants, Texas7 Comments on Saturday Sky – Now with less sky! I took both cars to the car wash yesterday… and my spindle went along for a field trip. No one looked at me funny. Either time. It’s the magic of his Mustang I tell you. Really. The first time I went there in my car, I got the standard service. I came back that day with his car? It got free smell and free wax and free shiny wheels. I was a little shocked. They were practically fighting over who got to dry it (and thereby drive it). Now? The guys treat me well in both cars. Free stuff all around. AND! There is actually someone there who likes my little zoom-zoom better than his car. Fine. I’ll admit, I do love his car, maybe more than mine. But you have to know the history. The first brand spanking new car I ever bought by myself was a ’96 Mustang in Pacific green, and I bought it right off the showroom floor. That’s when I learned that the GT in a GT Mustang really stood for GOOD TIMES! Yeah, I don’t know where all that came from. Awake too early and not enough sleep? I was so excited last night that I didn’t fall asleep until well after 2 a.m. and was up at 4. Oh yeah! I was talking about my spinning. I’m taking it to the airport when I pick him up. Then I get a week and a few days off. Unless I take it fishing with us. 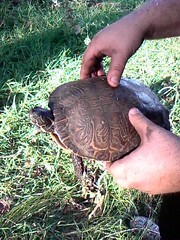 There! That was the Official Team Crankypants Squishy Edition update. Since I might not be seen for about a week, here’s some Friday Fill-Ins to keep ya busy. 2. A little hoochie skirt is something I recently bought. 3. When it rains, it … rain? What’s rain? 4. Texas was the first person I talked to today. 5. Hugs are wonderful and squishy and I can’t wait to have one of his. 6. I’m gonna need some extra comfort. 7. And as for the weekend, tonight I’m looking forward to um HELLO?!? Where have you been living, under a rock?, tomorrow my plans include uh, yea, same as Friday’s and Sunday, I want to well, what I want to do is different than what we are doing, but – his momma and step father are coming over for a cookout (on the new MANGRILL ™ and they’re delivering the washer! WOOT! No more laundromat for me! Author stacey919Posted on July 10, 2009 Categories UncategorizedTags FillIn, love shack, Spinning, Team Crankypants, Texas11 Comments on See you on the flip side! It’s Thursday! 24 hours and 50 minutes until Texas arrives! I still have to clean the bathroom and the kitchen, but after that it’s a cakewalk. Ooops. I forgot, I need to assemble his gift and I did want to wash both cars and crap, if I’m going out to do that, I have to get cat food. And since the idiot I was going to hire to clear the trees decided to go on a bender… I may have to look for someone else… who isn’t going to have it done by tomorrow like I’d hoped. Fine. Maybe not a cakewalk to you, but compared to last week and this… I’m on Easy Street! Yeah. Um. Spinning did not happen yesterday. I’m afraid if I would have had it with me, someone would have gotten impaled with it. And then I get a week off for good behavior. Author stacey919Posted on July 9, 2009 Categories UncategorizedTags life, Spinning, Team Crankypants, Texas, UM7 Comments on Yippee Skippy! They’re here! The Team Crankypants buttons. Cookie has finally said I could release them upon you all. Remember, no hotlinking! Save to your own computer. Important copyright schtuff: The bunny character was yanked from The Bunny under this Creative Commons license thingy. Since y’all want me to post and I have no content, I went out on the lake Tuesday and snapped some pictures. It’s been far too hot to do it since then. Well, unless I went out at 6 a.m. It’s 7 am and already 80 degrees (26.7 C ). Anyway, the point! I had one before I got sidetracked. Really. Like soda. Have you noticed the stuff they’re making with real sugar right now – around here it’s Pepsi and Dr. Pepper… it has less calories than the stuff with high fructose corn syrup in it. Must.stop. Before I go into my whole rant about hfcs. Thank GOD it’s Friday. Happy Weekend y’all! Author stacey919Posted on June 26, 2009 Categories UncategorizedTags lake, life, Team Crankypants, Texas8 Comments on ECF: Team Crankypants Buttons! I actually had to go to the blog because I forgot what it looked like. It’s much too cheery. I think I’ll need to look into changing it again. I’m here, I’m alive and I’m tired and cranky. Call off the search parties, interventions and snipers. Speaking of cranky… I’ve been told that I am joining Team Crankypants and so, I am. I’d insert a blog button and ravatar here, but I’m waiting for the grand pooobah to get image approval from someone – who lives in another country, so I’m totally not blaming her. Really. Plus, she got stuck with that job since she’s really good at making boys do things she wants. 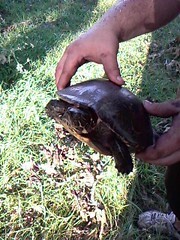 Turtle, turtle… trying to get back to the lake after possibly laying her eggs. Or she decided she was going to take the shortcut walking ACROSS the point instead of swimming around it. Heh. No, that tree is not supposed to be leaning on the other one like that. And that other fresh cut at the bottom of the straight tree? Obviously NOT the one that was holding the leaning one up. Yeah. I offered my support and adoration from up on the deck. With a cool glass of ice water. Happy whatever the hell day it is y’all! Author stacey919Posted on June 23, 2009 Categories UncategorizedTags life, Spinning, Team Crankypants, Texas, themes11 Comments on Ummm… Hai?